The name may say it all but Acme Taco & Burger is not your typical Mexican food and hamburgers. Everything is made fresh, traditional dishes are tuned up a notch and entrees combine flavors in unique and innovative ways. Patel gives two of his favorite dishes as examples. The steak and shrimp chimichanga mixes up marinated steak, sautéed shrimp, roasted poblano peppers and pepper jack cheese in a large flour tortilla, then arrives topped with poblano sauce, chipotle sour cream and guacamole. 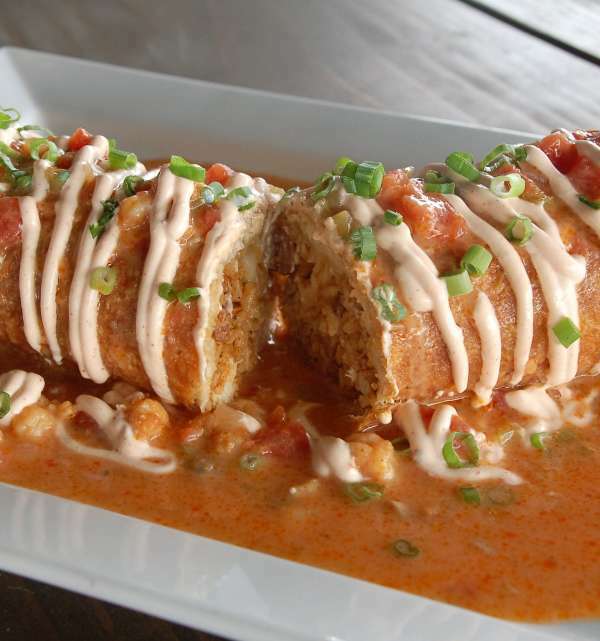 The seafood enchiladas take flour tortillas and stuff them with Maine lobster, Gulf crab and shrimp, roasted corn and pepper jack cheese that’s smothered in a rich and decadent house-made Chardonnay cream sauce and served with a side of Acme rice and grilled veggies. Of course there’s tacos, served in a wide variety of styles and sauces. The Mexican tacos combine crisp corn tortillas with mozzarella cheese, grilled onions and cilantro with a choice of meat and side. The Buffalo features a double-battered chicken breast or shrimp tossed in buffalo sauce and nestled in a bed of greens with blue cheese crumbles. Think hot wings meet soft tacos. There’s even lamb tacos! For something really fun, try the OMFG taco, which stands for “Oh My Fried Goodness!” It starts with a corn tortilla and includes a choice of meat — shredded beef, chicken or pork — lettuce, tomato and pepper jack cheese that’s deep fried in the shell. You can also make your own, choosing a protein and adding sides to round off the Mexican-style heaven in a shell. Like the taco menu, diners can also make their own burgers or choose one of their specialty creations. The Euro Trash brings together spicy Creole mustard, roasted spinach peppers and baby Swiss cheese on a sourdough pretzel bun. Head to France with the “To Brie (Or Not To Brie)” burger with orange and onion marmalade, caramelized onions and creamy French brie. If you want to be healthy, the “Tree Hugger” serves up fresh guacamole, alfalfa sprouts, tomato slices and onions topped with Vermont cheddar on a multi-grain Kaiser bun. 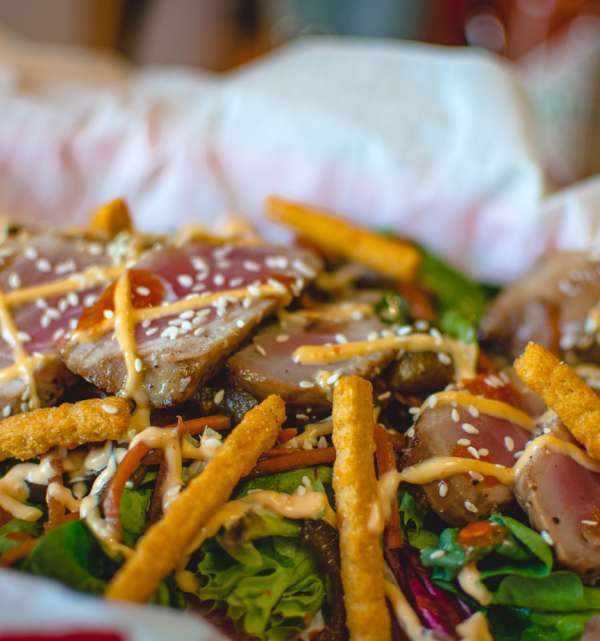 In addition, Acme offers up delicious sides, extravagant nachos and soups and salads. Children are welcomed here as well, and have their own menu with entrees that come with fries and a drink for only $7 each. 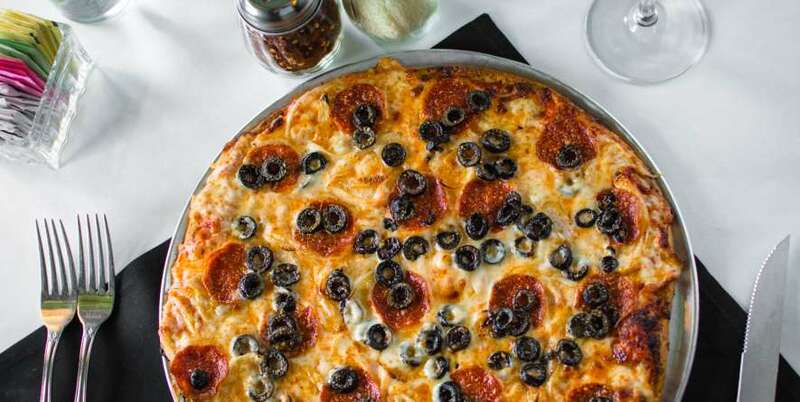 The restaurant began as two separate entities that merged last year and moved to its present location at 5621 Johnston St., near the intersection with Ambassador Caffery. The new location offers a larger space, extended hours and a drive-through that’s open from 6:30 a.m. to 9:30 a.m. daily for breakfast burritos, all reasonably priced. From 11 a.m. to 2 p.m. Saturdays and Sundays, Acme serves up brunch with specialty dishes and bottomless mimosas. Merging traditions again, there’s crab and egg enchiladas, three tortilla enchiladas rolled with scrambled eggs and topped with a poblano salsa, Louisiana blue crab and sour cream. Or a brunch burger that includes a fried egg, hashbrowns and hollandaise on its half-pound chuck patty that’s served on a homemade waffle bun. And of course you can’t forget the traditional chips and salsa. A complimentary basket of chips and the house salsa — made with super ripe tomatoes, roasted garlic, fresh and charred peppers and Mexican herbs — arrives automatically to your table. Glenn Murphree grew up in New Orleans, so he understood poorboys, a sandwich born in the Crescent City. 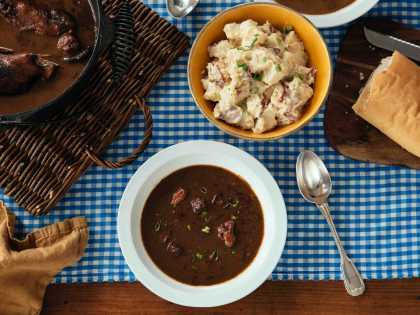 When a small corner grocery store dating back to the mid-1900s came up for sale in Lafayette, Murphree bought the property and began serving poorboys to Acadiana residents. 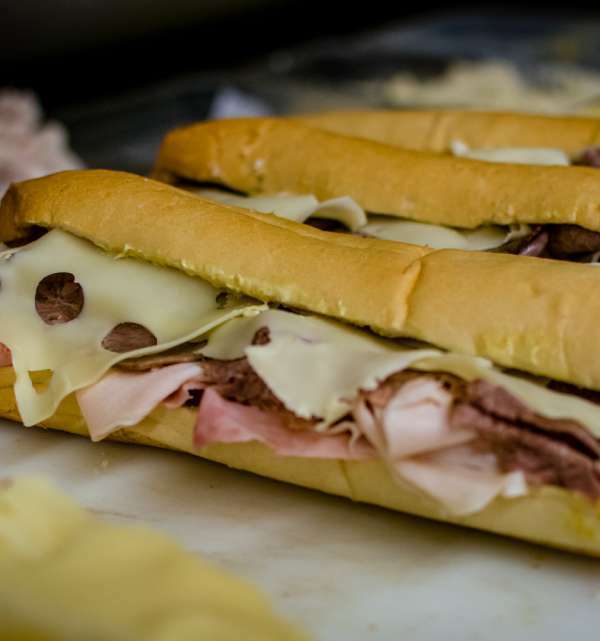 Over the years, Olde Tyme Grocery has evolved from being a place for University of Louisiana at Lafayette students to grab a cheap sandwich in between classes to one of the most popular poorboy spots in Acadiana. 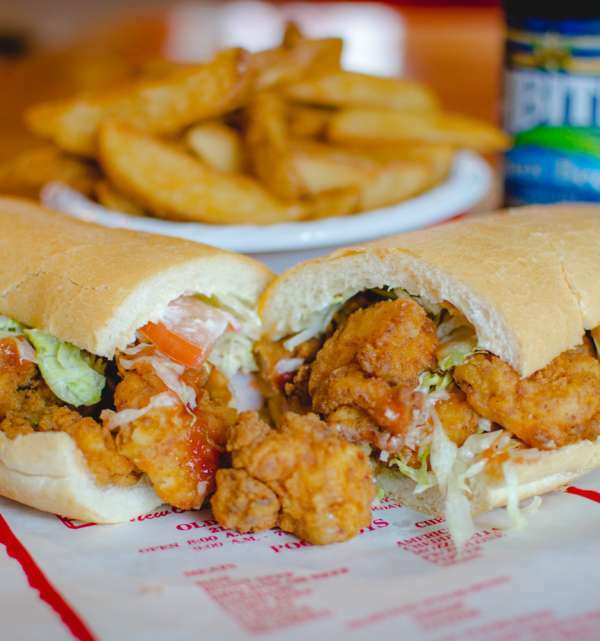 Last spring, the restaurant was in the running for Best Louisiana Po’boy by the USA Today 10 Best Reader’s Choice poll, coming in second only to New Orleans’ Parkway Bakery and Tavern. 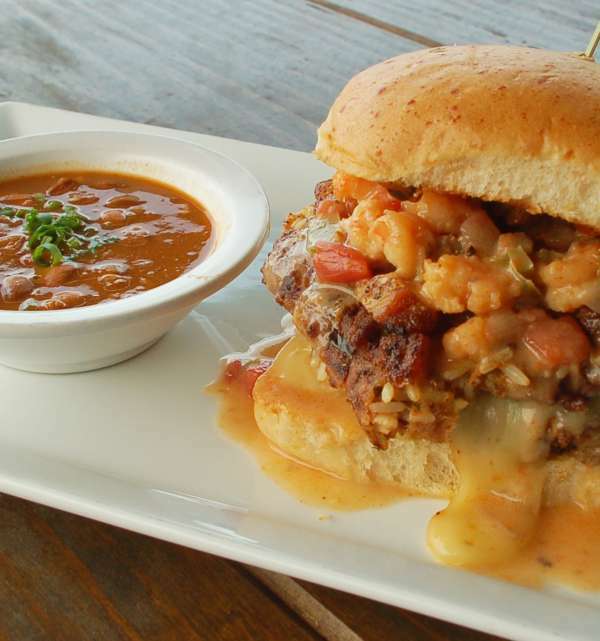 What’s their secret, besides bringing a dash of New Orleans culinary culture to Acadiana? 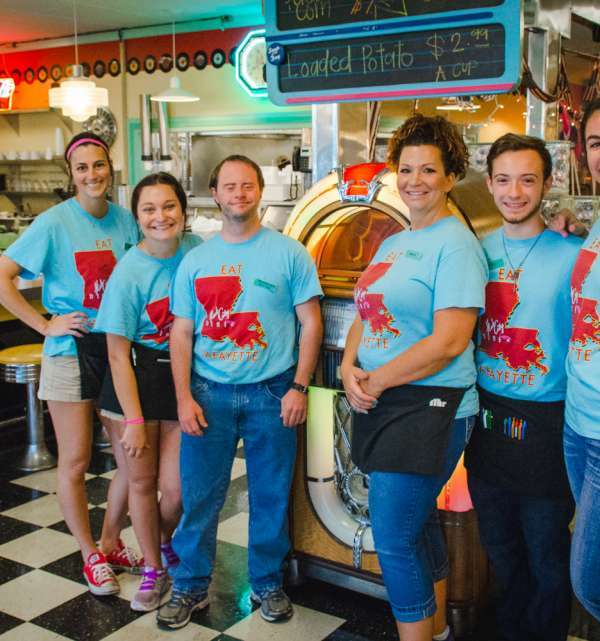 Olde Tyme remains closely tied to the university and most of its employees are UL-Lafayette students. After ordering at the deli counter and choosing drinks from the side coolers, diners will emerge into a seating area that’s adorned with UL memorabilia. As expected, most people visit for the poorboys. Other favorites are the Olde Tyme Special, a combination of ham, turkey, roast beef and Swiss cheese, and the meatball poorboy. Daily specials run the gamut, such as muffulettas, pot roast, chicken Caesar and hamburgers. Nightly specials, which start at 5 p.m. Monday through Thursday, are whole poorboys for $6, a different ingredient each night. On Fridays, Olde Tyme serves up fried catfish poorboys and fried seafood platters. Scott McClaskey and Kirk Miller know pizza. They worked as regional vice presidents for Domino’s Pizza, sharing 60 years between them in the pizza business. 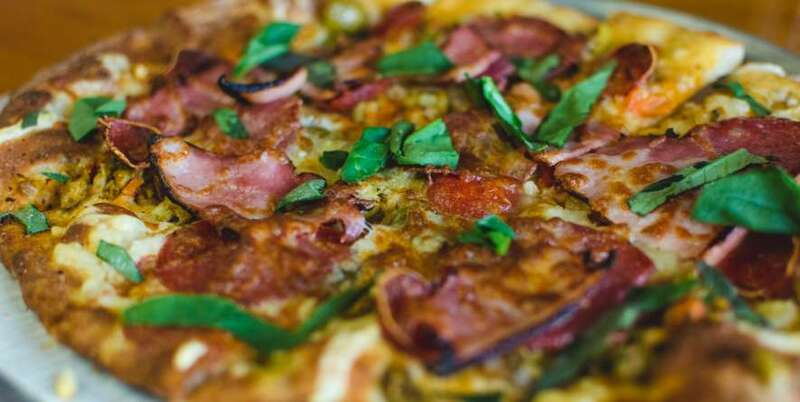 When they considered opening a pizza restaurant in Lafayette, McClaskey and Miller searched for something new and unique. They visited numerous innovative pizza establishments, then worked out a business model over the course of a year. 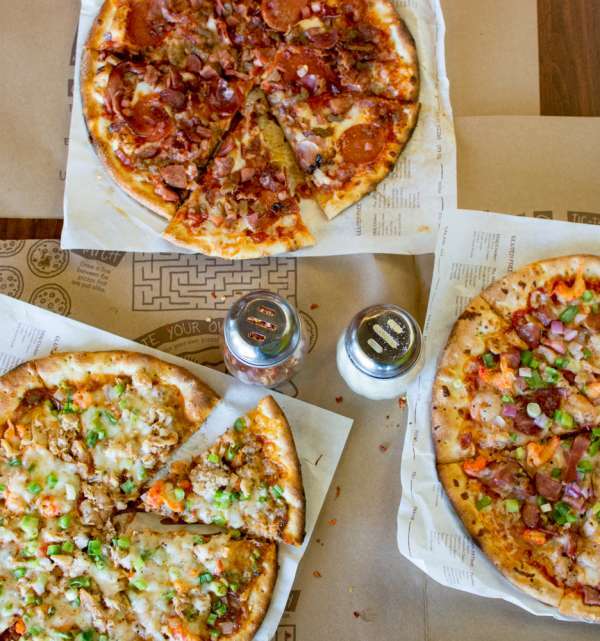 New pizzas designed by the chef are rolled out quarterly, such as the Fig & Awesome comprised of brie, chicken, smoked tasso and provolone cheese. 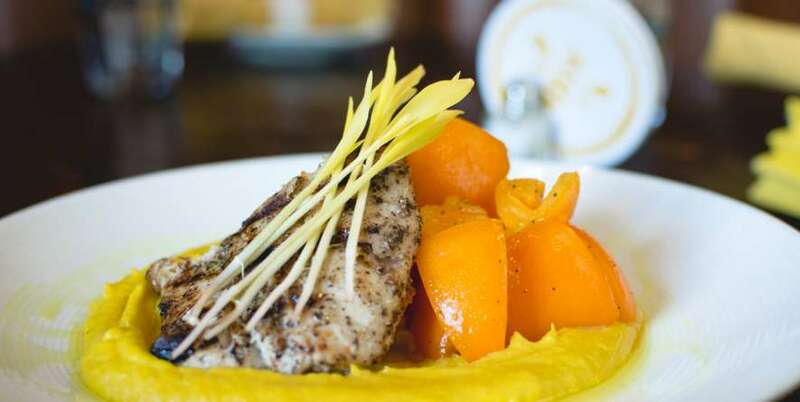 The Caribbean mango chicken was a quarterly special that diners raved about and it eventually became part of the menu. 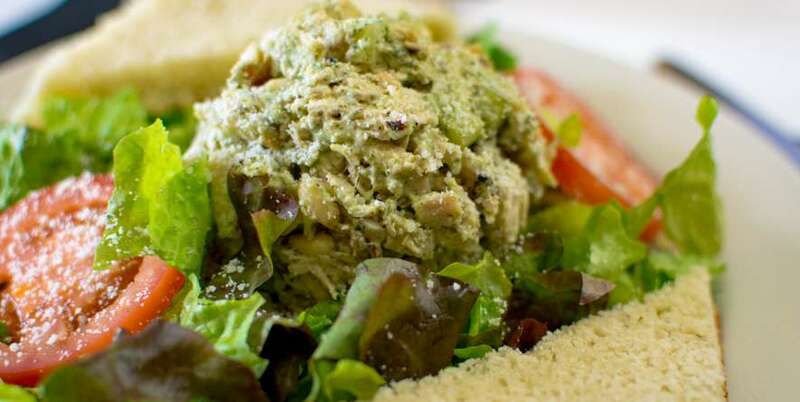 Mention EatLafayette at the register this summer and receive 10 percent off your meal. 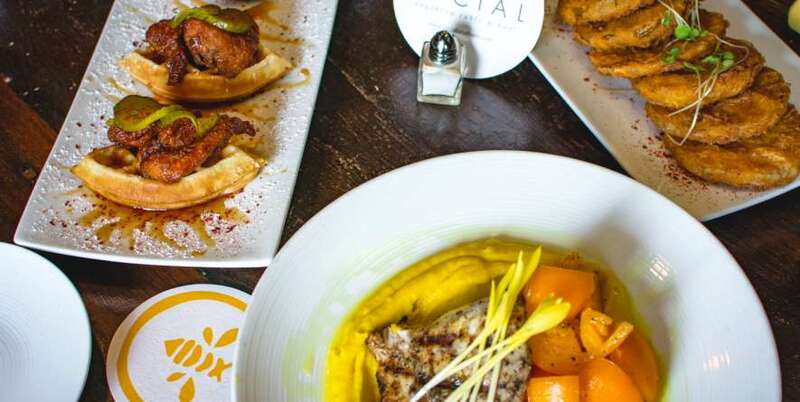 There are great restaurants in Lafayette and fabulous bars as well, but Social Southern Table & Bar combines the two, offering a hip, innovative place to enjoy locally sourced cuisine, hand-crafted specialty cocktails and real Southern hospitality. “It&apos;s all about being true to who you are: sharing with friends and family and enjoying each other’s company over a good meal,” explained Charlie Goodson, who owns the restaurant with Chef Marc Krampe and Jody Ferguson. On one side, the establishment offers comfortable tables that’s more conducive for dining. On the other, three larger tables align more with those who enjoy Social’s unique spirits as much as its farm-to-table cuisine. Either way, diners may enjoy “speakeateries,” or social plates for two, such as pork belly sliders, “krab nachos,” chicken-fried green tomatoes and Kimchi frites, hand-cut russets with house-made kimchi, onion, cilantro, spicy mayonnaise and a fried farm egg. There’s also specialty sandwiches and salads and “supper plates” featuring items such as tenderloin medallions, shrimp and grits and pulled pork. 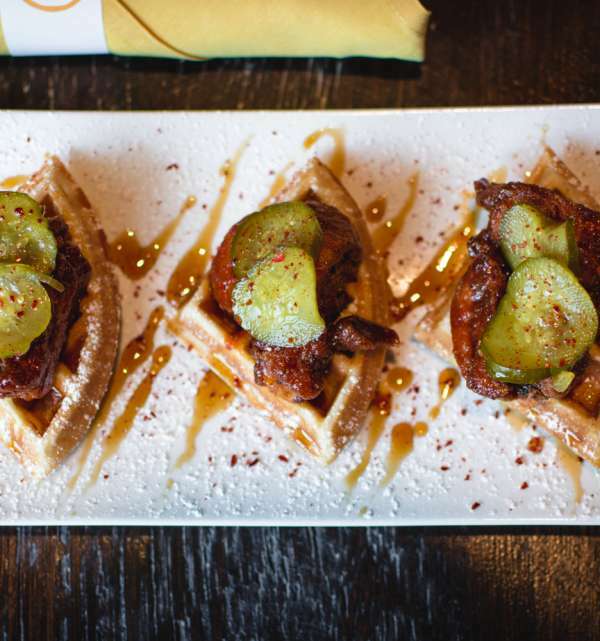 Some of the most popular items continue to be the smoke-fried chicken-n-sweet potato biscuits with a local ghost pepper honey and decadent Social flatbreads, which are created on-site in a wood-burning oven. 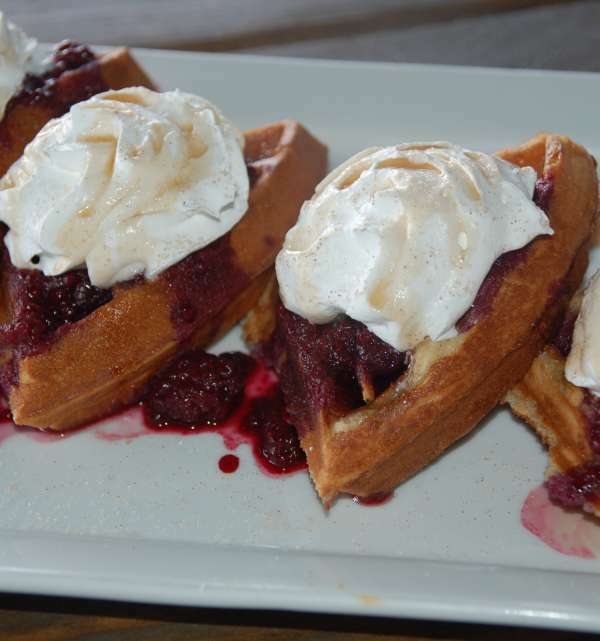 “The ingredients are always fresh and that is the cornerstone of our farm-to-table approach,” Goodson said. Goodson’s favorite dish on the menu is the Chef’s Line Caught Fish of the Day. 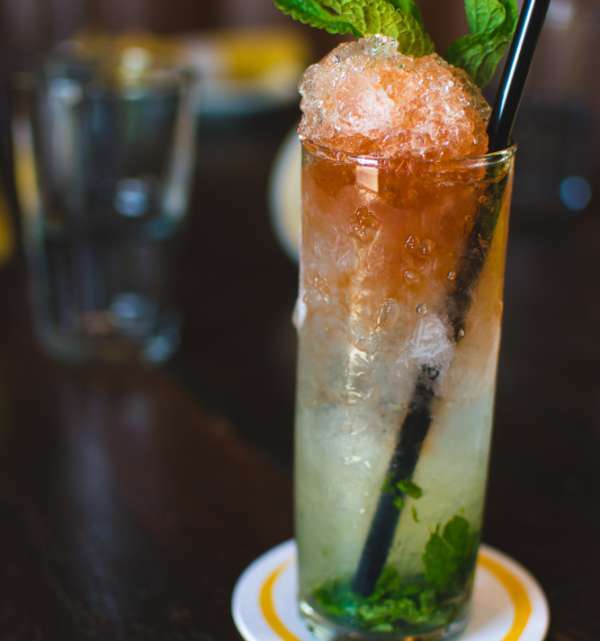 Social offers special events on a monthly basis, including Lessons in Libations, a fun class that teaches participants how to make their own craft cocktails. The $32 event includes two drinks, an appetizer and ingredients and bar equipment to take home. Social Hour (Happy Hour) happens from 3 p.m. to 6 p.m. Tuesdays through Fridays with discounts on cocktails with a Louisiana twist, such as Sazarac and Louisiana Mule, as well as macro brews and classic cocktails. Whiskey Wednesdays serves up $5 Buffalo Trace Old Fashions and “Saturday Suds” from 11 a.m. to 6 p.m. sells list beers as two-for-ones. Beer lovers will adore The Tap Room in River Ranch with its 40 beers on tap, many of which are locally brewed. But that’s not all. The bar-restaurant also serves up craft cocktails, gourmet hot dogs and artisan flatbreads. 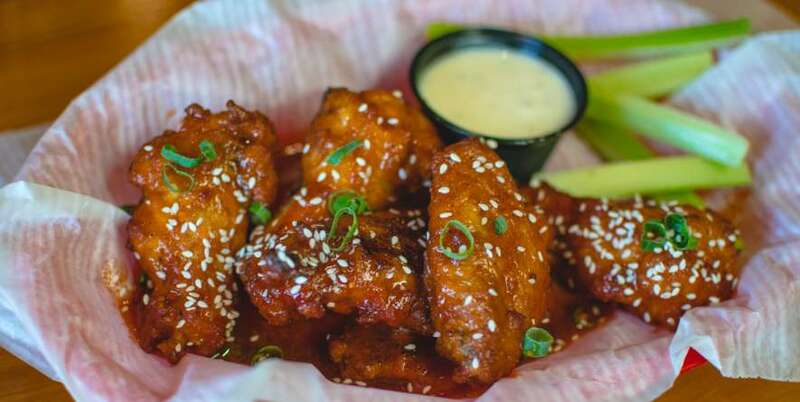 In other words, The Tap Room is an ideal gathering place for food, spirits and great company. “It’s a friendly neighborhood bar,” said Charlie Goodson, who owns the restaurant with Chef Marc Krampe and Jody Ferguson. The Tap Room is located in the Village of River Ranch, within the Mainstreet buildings near the intersection of Settlers Trace and Camellia Boulevard. The ambiance is upscale but relaxed, worldly but local. 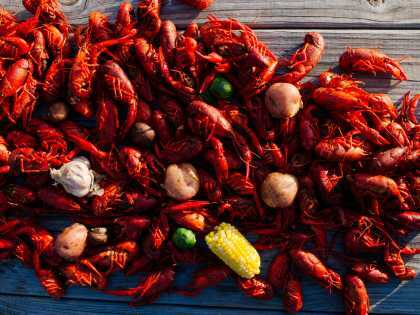 For instance, beer lovers may sample Lindemans Framboise of Belgium or Terrapin beer from Athens, Georgia, but also numerous South Louisiana beers, including Parish and Bayou Teche brews of Acadiana. Gourmet dogs run the gamut as well, including the “Yakov Smirnoff” reuben-esque hot dog, a 100 percent beef frank on a white bun with grilled cabbage slaw, shredded Swiss cheese and Russian dressing, or the “Frito Bandito,” with its cheddar cheese, diced onions, sliced jalapenos and Fritos. 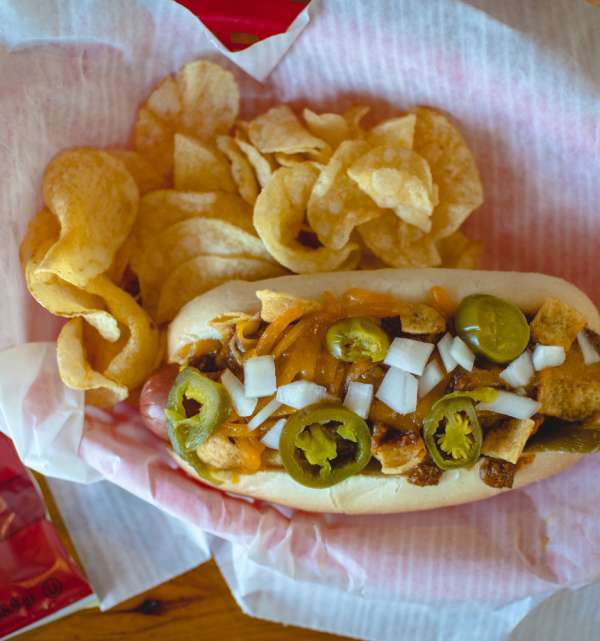 For the all-American fare, try “The Tap Out,” a frank married with chili, sliced jalapenos, diced onions, shredded cheddar cheese, spicy mayonnaise and pickle relish. Elegant flatbreads, hot wings and soft pretzels with Creole honey mustard round out the menu. Specials at The Tap Room are numerous. Happy Hour is from 3 p.m. to 6 p.m. Monday through Friday with $1 off drafts, $2 off specialty cocktails and $2 off wine by the glass. A “Reverse Happy Hour” is noon to 2 p.m. Monday through Friday and includes the same discounts. All day on Mondays it’s half price on Tito’s Vodka, wings, hot dogs and flatbreads. On Tuesdays, trivia night begins at 8 p.m. with two-for-one Bud Lights with a purchase of a hot dog. Ladies drink at half price on Wednesdays and there’s live music from 8 p.m. to 11 p.m. Thursdays with $3.50 Jack Daniels and Crown all night. 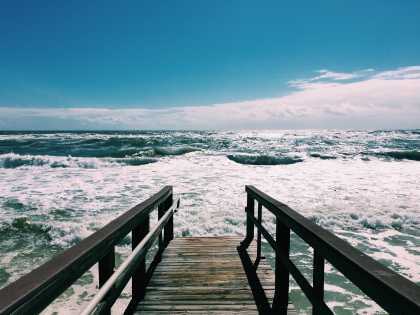 But the fun and specials don’t end on the weekends. Bomb shots cost $5 after 10 a.m. Friday and Saturday nights and Sundays are Fundays with $5 domestic buckets, $2 Bloody Mary’s and $3 mimosas all day long. The Tap Room’s Eat Lafayette Special is a lovely tuna salad with a spring mix, Asian slaw, spicy aioli and sweet potato sticks paired with a glass of Oyster Bay sauvignon blanc for $16 or without the wine pairing at $9.50. It’s an excellent meal combo to beat the heat of summer. In addition, their new summer cocktail is a Milan 75 comprised of Malfy Italian gin, elderflower liquor, lemon juice, simple syrup, fresh blackberries and Prosecco. 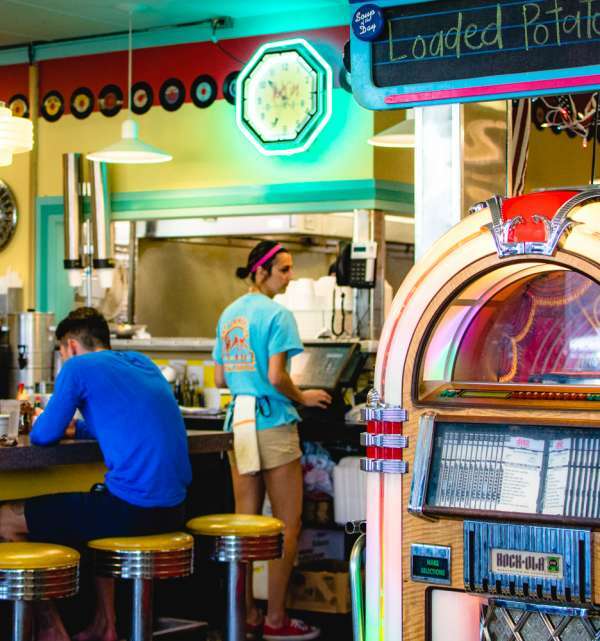 Hub City Diner is aptly named, an all-American diner that attracts locals and visitors alike in the center of town. 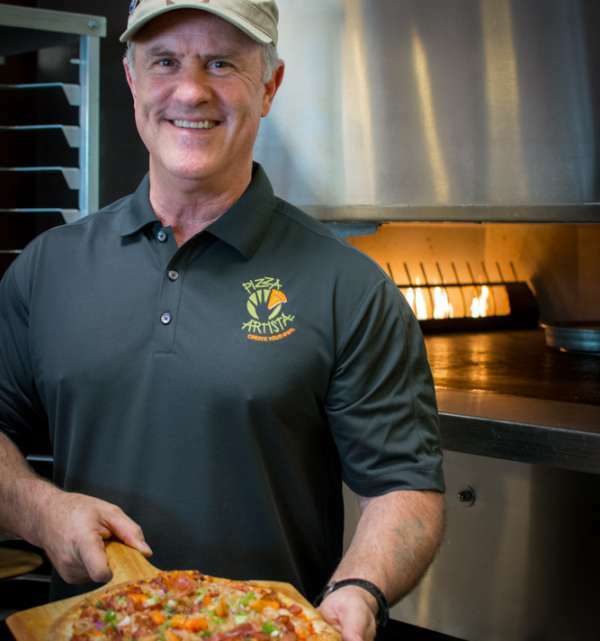 On any given day, you’ll find regulars walking through the doors being greeted by restaurant staff, even owner Jimmy Guidry. 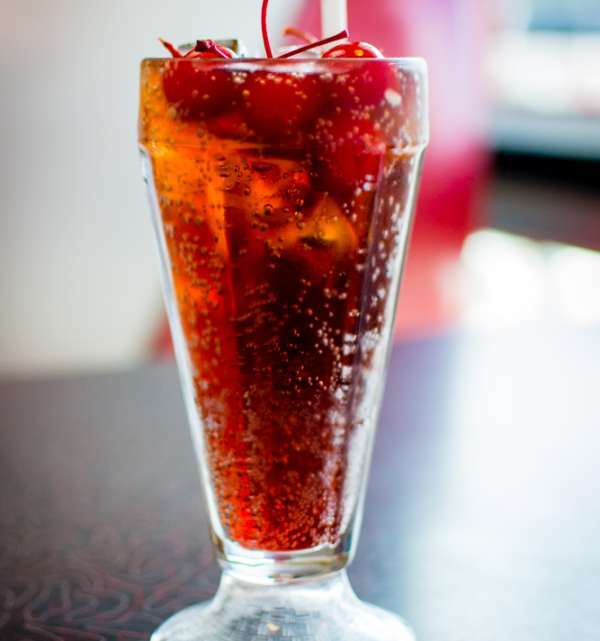 The restaurant began as Stansbury’s Café back in 1965 in the infancy of the Oil Center, the commercial neighborhood that surrounds Hub City Diner. 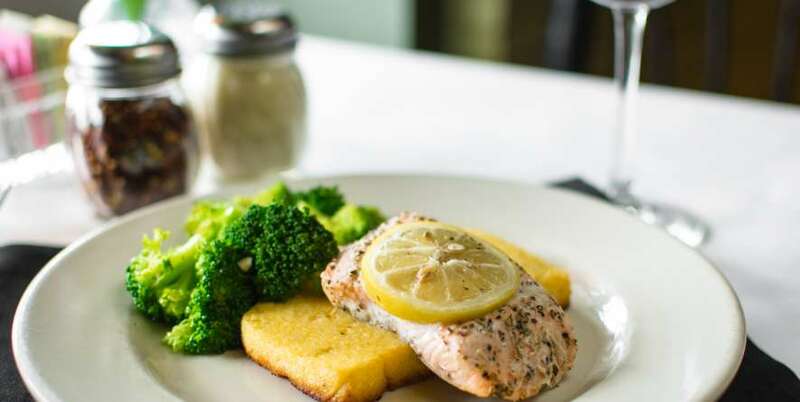 The original restaurant was founded by Lafayette restaurateur Charles Goodson, Chef Pat Mould and advertising executive and local foodie George Graham. “The concept was a 1950s diner but with more of a Louisiana twist to it,” Patin said. Guidry, who has years of food and bar experience throughout Lafayette, purchased the restaurant in 1998. The ambiance remains the same: vinyl booths and chairs, checkered floors, nostalgic photos on the wall — even a ceramic Pelican that’s dressed like Elvis. 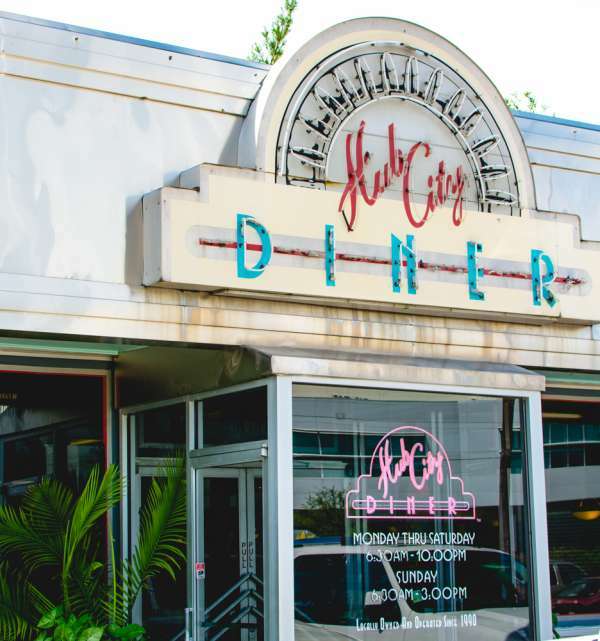 Hub City Diner is open daily for breakfast, lunch and dinner and some of the original recipes, such as the Catfish Louisiana, are still on the menu. On weekends, the restaurant draws in the breakfast crowd for its extensive menu of omelets, pancakes, egg combos and beignets. 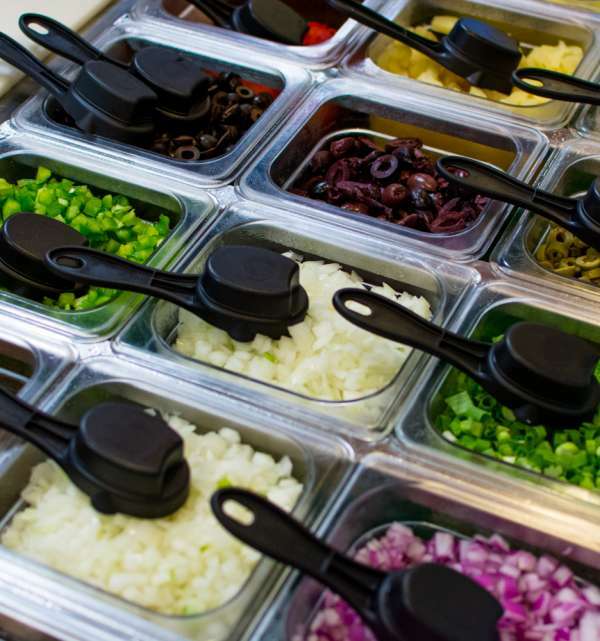 On weekdays, Oil Center employees head to Hub City for its healthy dishes, salads, sandwiches and burgers. Patin’s favorite dish is the turkey sandwich that’s grilled on marbled bread with onions and Swiss cheese then dressed with lettuce and tomato and served with sweet potato fries. Guidry’s menu item of choice is the grilled shrimp and fried green tomato salad topped with the Hub City remoulade dressing and set atop romaine lettuce with cucumbers and tomatoes. Local favorites continue to be the “2x2x2,” featuring two eggs, two sausage patties, two pieces of bacon, hash browns or grits and 2 fluffy pancakes for breakfast and the 3-Way Hamburger Steak, more than a half pound of lean ground meat loaded with cheese, onions and brown gravy that’s served with mashed potatoes for lunch and dinner. And don’t forget those burgers, which come in a wide variety of styles and flavors, from feta bacon and mushroom to the spicy garden burger made of a black bean patty for vegetarians. 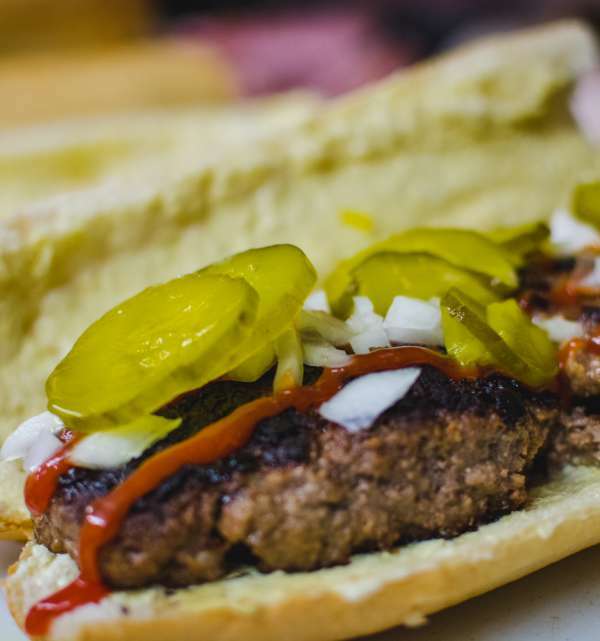 “Our burgers are some of the best in town,” Patin said. 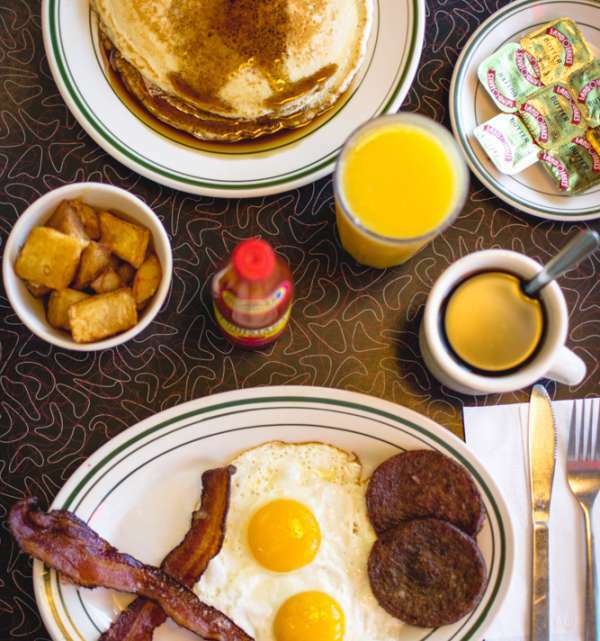 Bottom line, there’s something for everyone at Hub City Diner. “You can come here with 10 people and everybody will enjoy something on the menu,” Patin said. 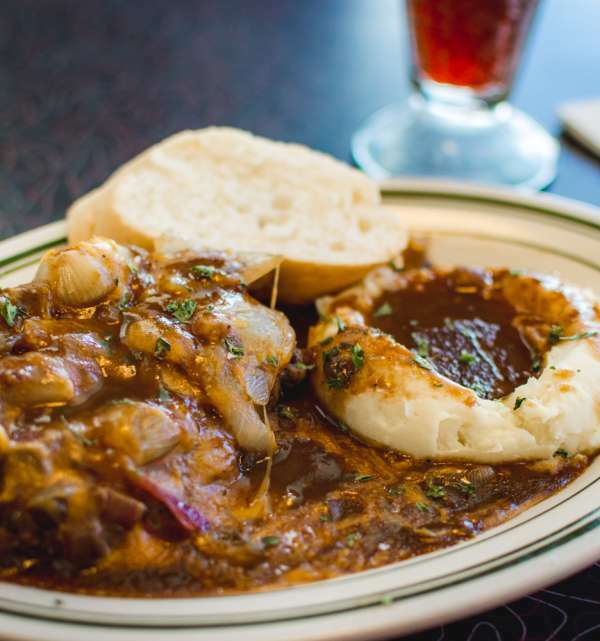 The Hub City Diner Eat Lafayette Special is a spinach Florentine-stuffed meatloaf served with mashed potatoes, a choice of vegetables, a cup of soup and a personal size piece of bread pudding for $8.99. Preheat oven to 425 degrees. Blanch asparagus in a pot of hot water for 2-3 minutes. Remove, drain and cool. Toss with olive oil, fresh ground pepper and sea salt. Wrap 2-3 asparagus (depending on size) in 1 slice of prosciutto. Skewer with a toothpick to hold the prosciutto in place. Bake in oven for 8-10 minutes or until prosciutto is crispy. Add 3 cups balsamic vinegar to a small pot and heat to a boil. Whisk in 1.5 cups of sugar. Continue to boil until it reduces by half. Test the reduction for the proper consistency by stirring with spoon. Remove spoon and hold it horizontally over the pot. Use your finger to run across the spoon face. When the mixture no longer runs over the place you wiped, it is done. Remove from heat and let cool. Once cooled, drizzle over the asparagus. 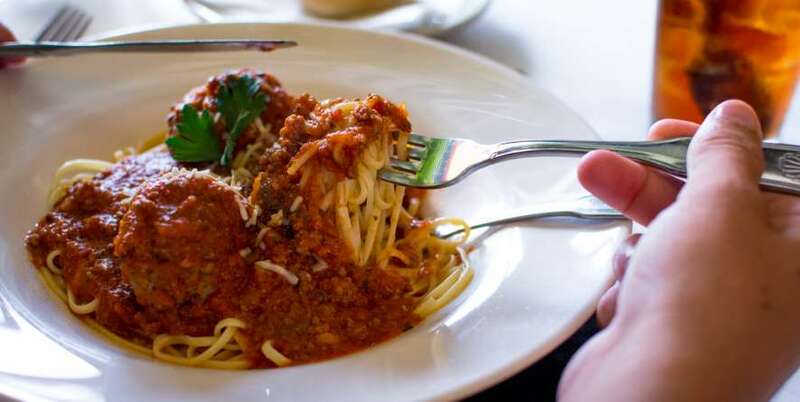 Recipe compliments of Antoni’s Italian Café. Directions: Place the smoked shrimp on top of the summer corn polenta, then top with the green tomato relish. Combine all ingredients with oil and bring to a simmer until vegetables begin to caramelize. Let cool to room temperature and strain through cheesecloth. Combine milk and cream in a pot and bring to a simmer. Add the salt and whisk in the cornmeal. Turn the heat down to low and cover. Let cook for 2-3 hours stirring often until cornmeal is cooked and the polenta is rich and creamy. Stir in Parmesan before serving. Cold smoke the shrimp at 80 degrees. Season with salt and black pepper and sauté with curry oil. Combine all ingredients in large stock pot. Bring ingredients to a boil, then lower to a simmer. Cook for 2 hours. Should have consistency of chow chow. Roll out 1/2 pound ground meat. Stuff 1/4 pound boudin inside ground meat and form it into an ovular hamburger. Add Creole mayonnaise, lettuce and tomatoes. Mix together and serve. Note: This recipe is what Ross Murphree uses in the store so you may want to scale it down. Lightly muddle the strawberry, orange, lemon and lime wedges. Add the two parts vodka and ice and shake. Top with club soda.